MACLANDS is a Master Degree in territories’ sustained development and management for and through heritage and cultural landscape. MaCLands is a European university training truly original and unique worldwide thanks to both its global approach and its methodology applied to current international development issues, as well as to sustainable management of territories for and through heritage or cultural landscape. MaCLands provides this alternative training, first and unique to this day, thanks to three perfectly complementary universities. Saint-Etienne Jean Monnet, a young thirty-year old university; Naples Federico II, oldest university in Europe and Stuttgart University, with technology expertise. * the diploma of your language level (DALF C1 in French, CELI 3 in Italian and ZD in German) or all documents that proves that the candidate has started a language training before arriving in Europe. * 2 letters of recommendation in one of the Consortium language. * the student research/study project in accordance with the motivation letter. This project should be presented in a scientific way (references, bibliography,etc..) and should help the jury on the quality of the student and on the quality of his application. * the completed and signed application form. There is a new organization as non-Europeans who have spent more than 12 months in an eligible applicant country in the last 5 years as well as European students can also receive scholarships. If you are a non-European student, and if you have are not resident nor have carried out your main activity for more than 12 months in an eligible applicant country* in the last 5 years, you can apply for an Erasmus Mundus scholarship. These scholarships are granted on merit, based on the excellence of your application. The amount of the scholarship is €23,500 per academic year (a total of €47,000 for the duration of the MACLANDS Master course, i.e. 24 months). The scholarship covers your MACLANDS registration fees, travel, housing and living costs. * from 2500 € as a contribution to registration fees. Please note that a student cannot apply to more than 3 Erasmus Mundus Masters. Category A scholarship only is considered as a full scholarship. Category B is considered as a financial contribution to students. 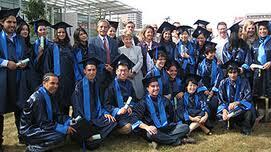 16 ERASMUS MUNDUS scholarships will be available for both categories (the number of scholarships can be modified). Demikianlah informasi mengenai Master Scholarship, Erasmus Mundus MACLANDS, Europe semoga berguna bagi anda. Looks up greats! I enjoy because it is a nice and very effective article. Thank you, writer for writing like a nice article. This is very nice post! I will bookmark this blog. writing like a nice article. This is very nice post! I will bookmark this blog.